Life’s hectic pace can cause fatigue, stress, and pain in your body. Our saunas use infrared light to raise your internal body temperature, trigger sweating, and alleviate your body of toxins, chemicals, and fat. Experience the infrared difference. 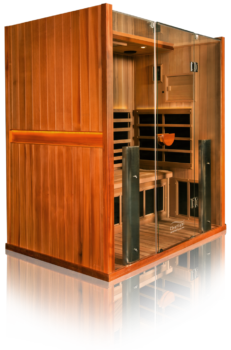 While a traditional sauna heats the external air around you, an infrared sauna penetrates into your body and raises your internal body temperature. Our infrared saunas provide a more comfortable experience that relieve a wider range of health concerns than traditional saunas. Visit our retreat to experience the benefits of infrared therapy in a private and relaxing environment! First time clients only. Fill out the form below to reserve your discount.